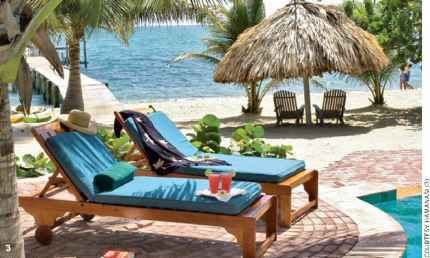 If you could build your own place in Belize, nestled between the virgin jungle and golden-sand beach, it would probably look like Hamanasi Adventure & Dive Resort. Built equally for comfort and eco-friendliness, this 5-star PADI IDC Gold Palm resort is situated near the fishing village of Hopkins, with easy access to diving on the entire Southern Barrier Reef, Turneffe, Glover and Lighthouse Reef Atolls as well as the Blue Hole. During the full moon period from March to June, you can even go out to Gladden Spit to dive with the whale sharks. 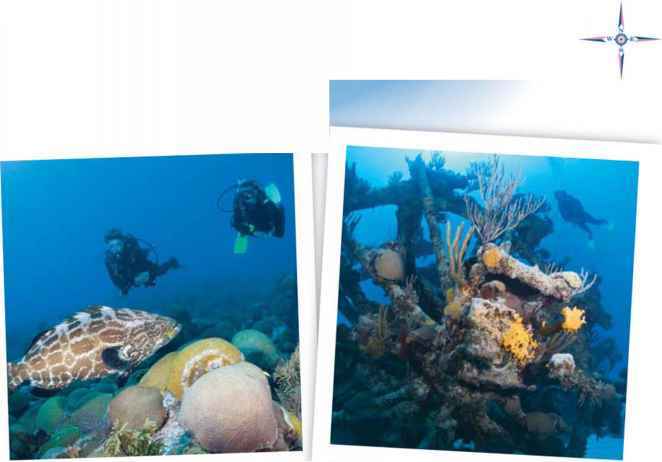 In fact, you'll rarely share a reef or wall with other divers. A pair of twin outboard dive boats zip you out to most dive sites in about 30 minutes, a bit over an hour to the atolls. With 10 permanent dive staff, including three instructors, there is at least one divemaster for every eight divers, giving you the freedom to relax and enjoy your time underwater. That philosophy of first-rate personal service extends ashore too. Attentive staff look after your needs whether you're swinging in one of the beach hammocks, splashing in the pool or trying to decide which entree to sample. 1. Fine dining on the veranda 2. Treehouse rooms nestled in the coastal forest 3. Lounging options both poolside and oceanside resort, it will be which type of room to book. The deluxe and standard beachfront rooms are spacious with a lovely view, but the treehouses are most unusual. Individually built on 12-foot stilts with an 8-foot porch, these cabanas give you perfect privacy. The tranquility is totally refreshing. Of course, there are always the two honeymoon suites for the newly — or perpetually — romantic. Hamanasi's mainland location offers plenty of topside choices. Jungle river kayaking and canoeing is relaxing. The Mayflower waterfall hike and the cave and jungle adventure will burn off those excess calories. The Mayan history tour, the cycle tour of Hopkins village and the drums of Garifuna will give you a new appreciation for Beliz-eans and their culture.